On May 16, 2017, Research Center for Social Systems in Faculty of Economics and Law had a press conference to announce that our proposal was selected for "IoT Service Creation Support Project" offered by the Ministry of Internal Affairs and Communications as one of 17 selections out of 114 applications. The proposal is "Building a Local Brand Construction Scheme utilizing IoT - pursuing the aquisition of the Geographical Indication of Wine in the Chikumagawa Wine Valley special zone"
In this project, in order to establish the cultivation of high quality wine grapes which is suitable for the regional environmental characteristics in Nagano, with accumulating and analyzing the data in eastern area of the Chikumagawa river, such as (1) growth and cultivation record and ingredient data (2) weather / environmental data etc., the cultivation support of wine grapes utilizing IoT and verification of harvest / control timing prediction model were conducted in cooperation with winery producer, Uijin Co., Ltd and Nagano prefecture. The significant feature of this project is that Humanities and Social Sciences plays a central role, which is rare in IoT project. 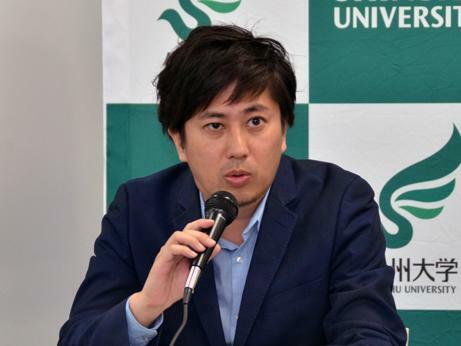 In the future, not only for improving the quality of Shinshu wine with use of IoT, we will promote creating regional wine brands and organizing rules for IoT data handling through the utilization of knowledge coming out of Humanities and Social Sciences, with a focus on Research Center for Social Systems as a core. For an overview of Shinshu University Research Center for Social Systems, please click here (only in Japanese).